The Ninja Turtles mod contains the main features of the cartoon, which is known to all comic book lovers. Of course, you can turn into any ninja turtle and fight the villains using a new weapon. 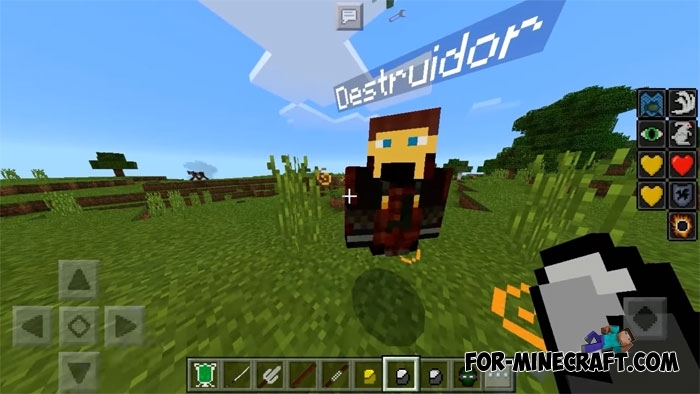 The mod is being developed because of which some functions do not work yet, but you are sure to see the following updates in the near future. 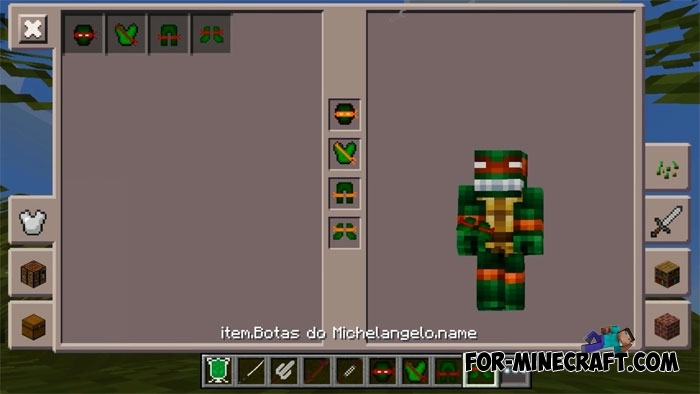 It will be very strange if the mod does not add the ninja turtles the main characters of the cartoon. 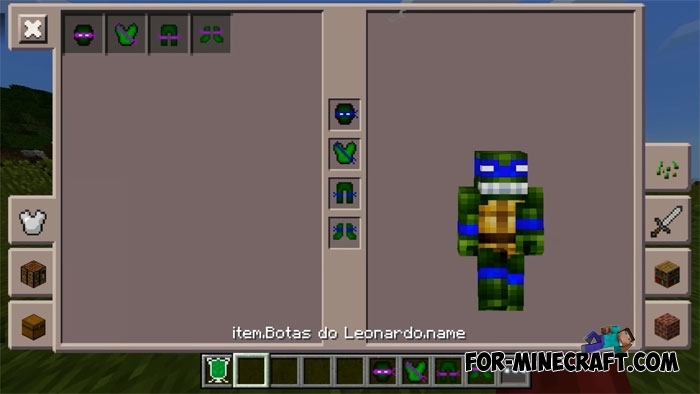 As you remember, there are four turtles and to turn into one of them you will need to get all parts of their costumes. Shredder is your main opponent, very strong and fearless. Foot Can soldiers attack only with their fists, will be improved. Splinter is neutral only until you hit it. 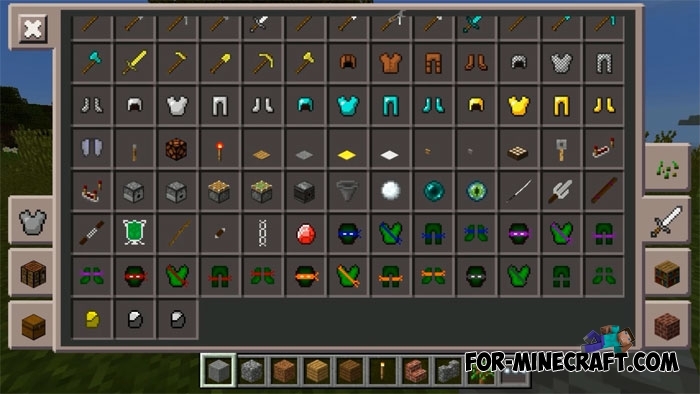 Note that there are no crafting recipes in this version, but most of these items will be used in crafting in the next version of the Ninja Turtles mod.